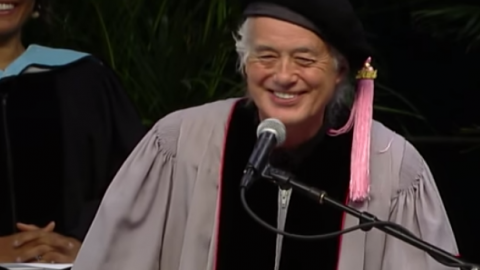 The day after Jimmy Page attended a concert at Berklee College of Music (2014), he delivered the commencement speech. 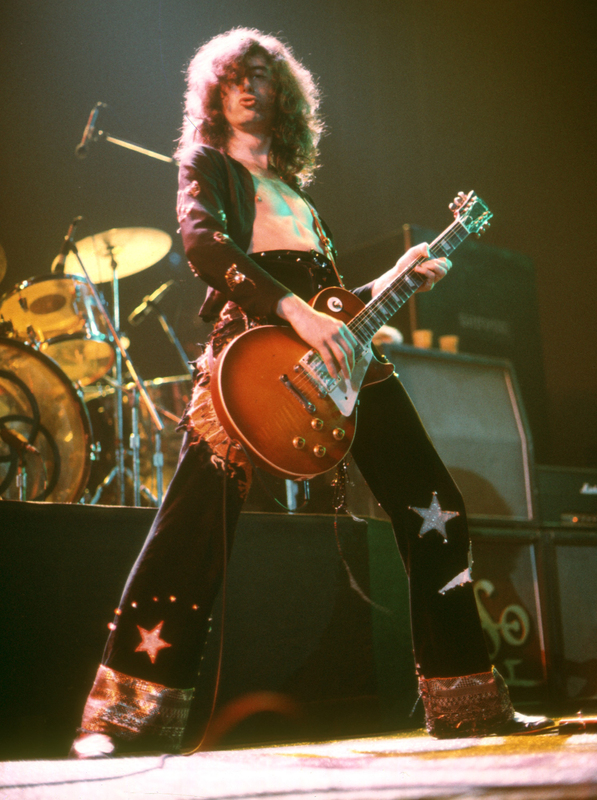 Imagine the feeling of having Led Zeppelin’s guitarist play his songs along with you– then listening to his speech the day after. Page ditched his dragon garb and put on a college robe in the colors of black, grey, and pink. Page explains that it was a bit strange for him to give a commencement speech at college of music because he was self taught. He talks about his start as a session musician. Then, he reveals that he didn’t know how to read music in those days, only the chord charts. During his teenagers he had evolved his guitar techniques until he advanced into the spot of the world’s greatest guitarist. No big deal right? Jimmy Page continues to discuss the importance of learning how to read sheet music. He calls himself “a specialist musician.” We’re not sure what that means exactly, but I’m assuming it’s his polite way of saying “I’m a rock and roll guitar god.” Page explains that he had to force himself to learn the symbolism of sheet music because of the competition in the music world. “Everyone was fluent with their music reading so I had to come on very quickly, in leaps and bounds so it was quite a sort of pressurized moment, but then I had to come through it and I was reading how all you guys do. I wanted to give you that little bit of empathy and understanding,” Page tells the graduates. Jimmy ends his speech with wishing the Berklee Music graduates the best of luck in their future. Would be interesting to see where those graduates are now, because if Jimmy Page delivers the commencement speech on the day of your graduation from music school– you’re destined for great things.